Movember4Life has done it again! 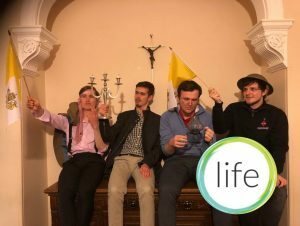 Throughout November, a group of students from the University of St Andrews Catholic Society put away their razors and grew some cracking moustaches to raise funds for Life. 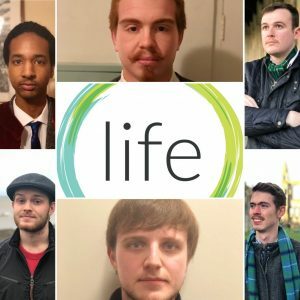 For the second year running, this group of young men chose to support the work of Life by running Movember4Life. They have raised an amazing £615 so far for Life! We want to say a huge thank you to them for their wonderful work. We are especially grateful for the courage they have shown in the face of adversity. 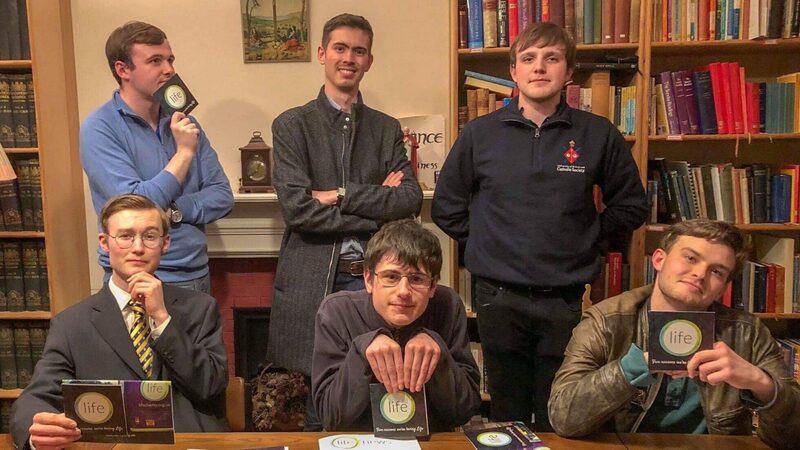 After publicising their fundraising efforts online, some of the lads faced a torrent of online abuse. James Bundy, who spearheaded Movember4Life, was at the receiving end of much of this abuse. Such abuse is utterly unacceptable. We commend James for his commitment to speaking in defence of life with clarity and compassion. Undeterred, the boys went on to exceed their fundraising target. They have shown that, in the face of adversity, there are many who support Life’s work and our mission to provide positive alternatives to abortion. Week in, week out, Life is providing lifesaving services nationwide and ongoing support to hundreds of women and children. We are so grateful to James and his friends for their fundraising efforts which allow us to keep up this work. Because of people like them, we are able to spread the message of life in schools; we can house vulnerable women and children in our 25 supported houses; we can respond to hundreds of people every week who seek our counselling and skilled listening services. Silly poses from our Movember lads! “Everyone who took part in Movember for Life is absolutely delighted that our efforts raised over £650 for Life, smashing our target of £500. We cannot thank everyone who showed us support and donated enough. Life is a wonderful charity who aim to protect both mother and child in the most difficult times. All of us who took part hope that our efforts have resulted in an increased awareness of the work Life do so more mothers and children can benefit from their fantastic work’. Thank you again! If you would like to continue to show support for the boys, leave them a comment below. Better still, head over to their fundraising page as there’s still time to donate! If you are interested in fundraising for Life, please don’t hesitate to get in touch with our Community Fundraising Coordinator at josephinejackson@lifecharity.org.uk for ideas and support.